Whenever a product promises to mattify I have to try it! As an oily girl this is one of my main concerns when applying makeup and the current hot weather isn´t very helpful in controlling oil and shine! 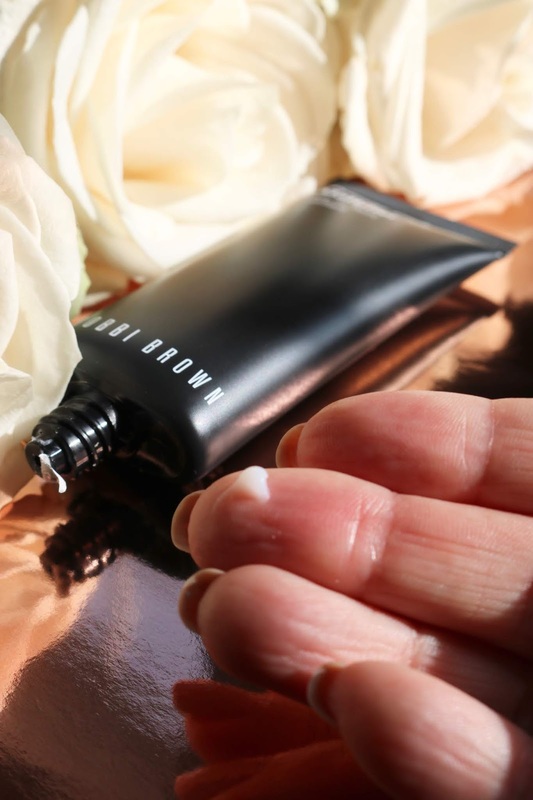 So I was exited to give the brand new Bobbi Brown Primer Plus Mattifier ($38) a try (and I wore the Bobbi Brown Skin Long-Wear Weightless Foundation ($46) on top of it)! 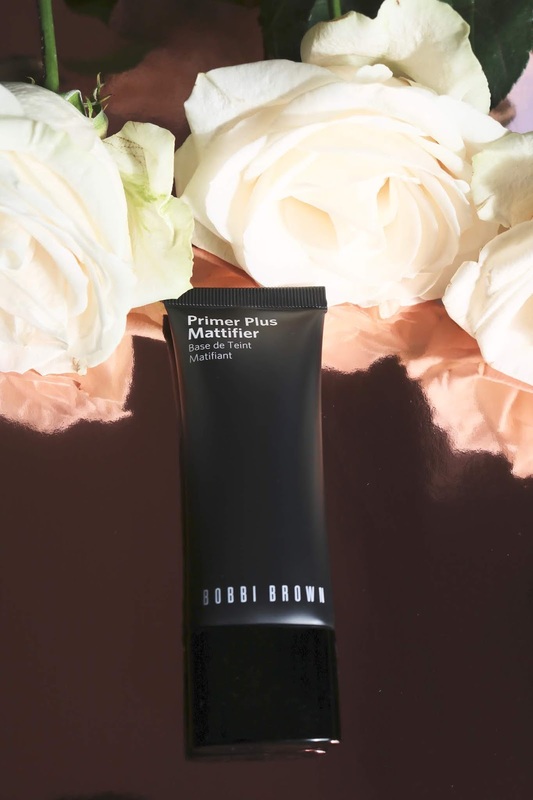 The Bobbi Brown Primer Plus Mattifier is a thin white lotion that is absolutely not greasy (which would be oh so counterproductive when trying to mattify haha!) and smells heavenly fresh. 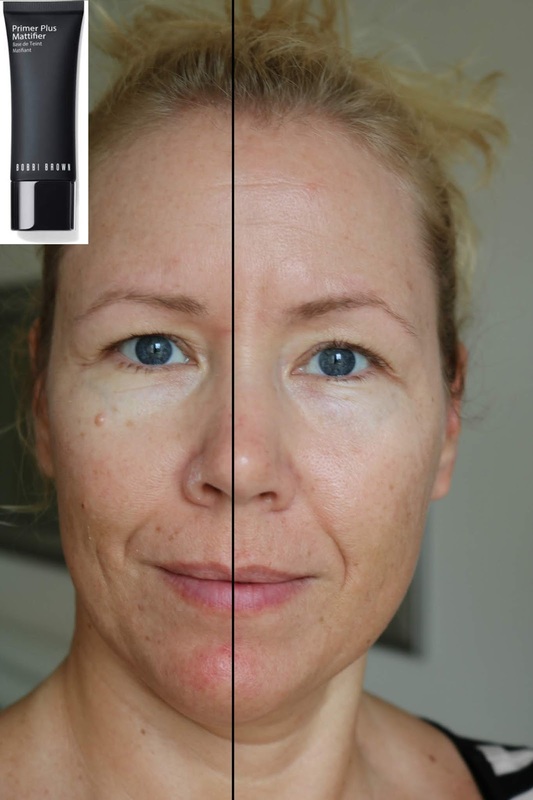 It absorbs quick and easy and to my own surprise: yes indeed: it blur pores and immediately mattifies, as you can see clearly on the following pics! On the left side I am wearing the primer and on the right side I show you my bare face. You can clearly see how my left side is more matte and the pores are blurred out. Never mind the white stuff on the left side of my nose: these are just dry skin flakes! Not bad, hm? Alright, now let´s apply some foundation. Shall we? 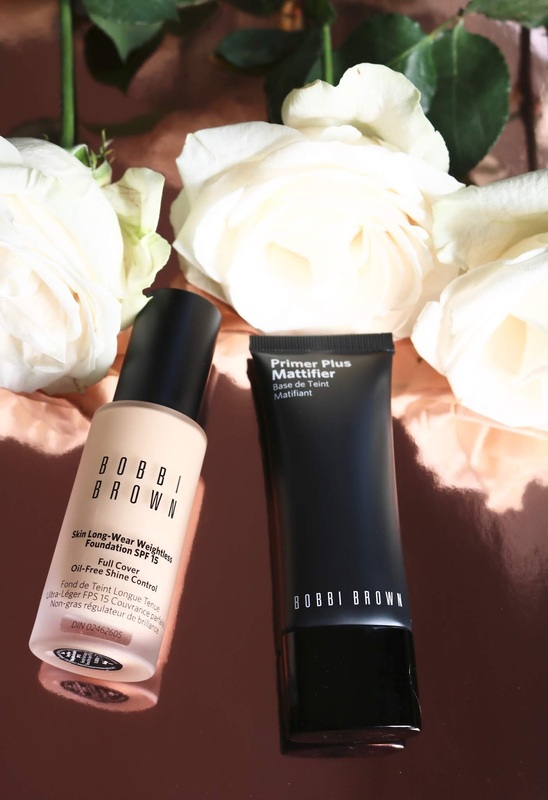 Since this should be the best combination, I used the Bobbi Brown Skin Long-Wear Weightless Foundation SPF 15. 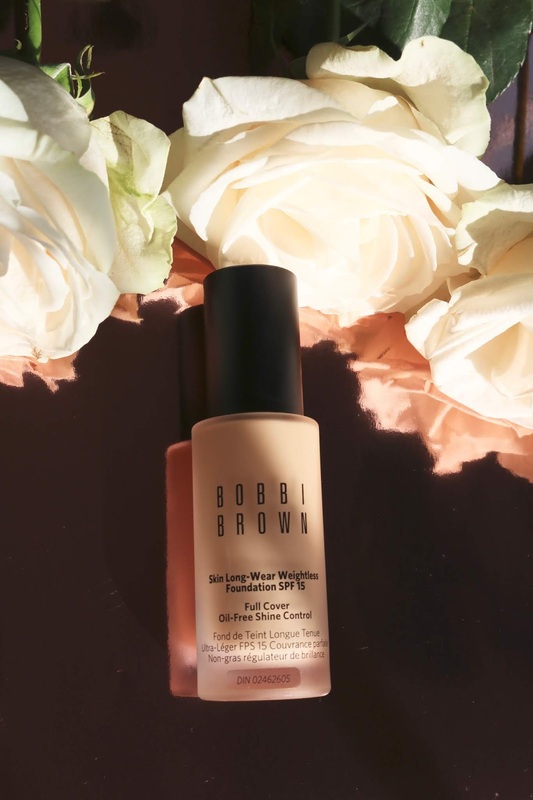 The Bobbi Brown Skin Long-Wear Weightless Foundation SPF 15 offers amazing coverage and a thin amount is enough to cover almost everything that I need to cover. The foundation also smells fresh and clean. In the following pictures I did not add any concealer- I only used the foundation and added under my eyes and my (always red) chin extra drops to cover. 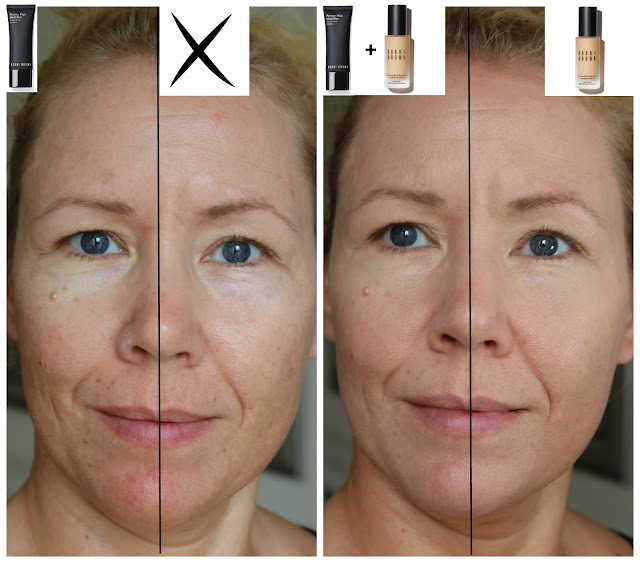 So, all coverage on the second pic is purely achieved with the foundation! On the left picture you see me with the primer on the left side of my face and no primer on the right side of my face. On the right picture I am wearing the primer and foundation on the left side of my face but only the foundation on the right side. Click for enlarged picture. I tried this combination now for a couple of days in hot and humid weather and I have to tell you: it wears so beautiful! I love the amazing coverage of the foundation and how natural it still looks. Also: it wears absolutely comfortable! Throughout my days, I have never had the urge to wash my face- you know this feeling, when a foundation is too heavy? With this combo? Never! It feels truly weightless and looks good until I go to bed (and really wash it off cause I have to, not cause I want to). 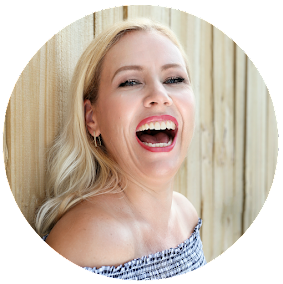 On my eyes: the Lancome eye pencil in black lapis! Totally love that color! 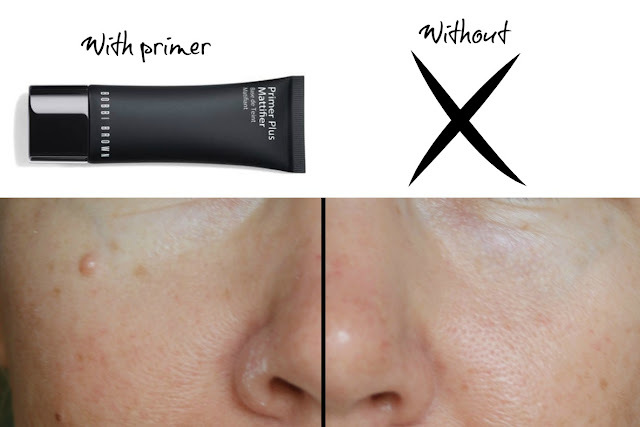 Will the primer help to make my face shine free all day? No, I think for me it lasts- depending on my activities during the day- about 4-6 hours and I start to shine again. But I am honestly a hard-core case of an oily t-zone. Nothing keeps me matte for 10 hours.